When batsman are at the crease, there are various non-negotiables. Firstly, a batsman has to be physically comfortable and protected as well as having a clear conscience that if they do get struck by the ball, the protection they are using will ensure their safety. 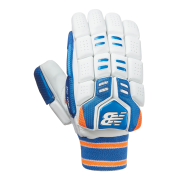 The new 2019 New Balance cricket gloves are designed to do exactly that. 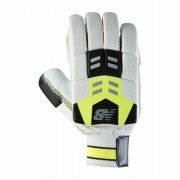 Endorsed by England internationals Joe Root, Gary Ballance and Liam Plunkett as well as Australian star Steve Smith, the New Balance Batting Gloves are available in a variety of different sizes as well as protective levels and armoury. So whether you're a fully fledged professional or a young aspiring cricketer trying to impress at your local club, New Balance having a batting glove suitable for you in two very vibrant colour ways and a variety of designs.